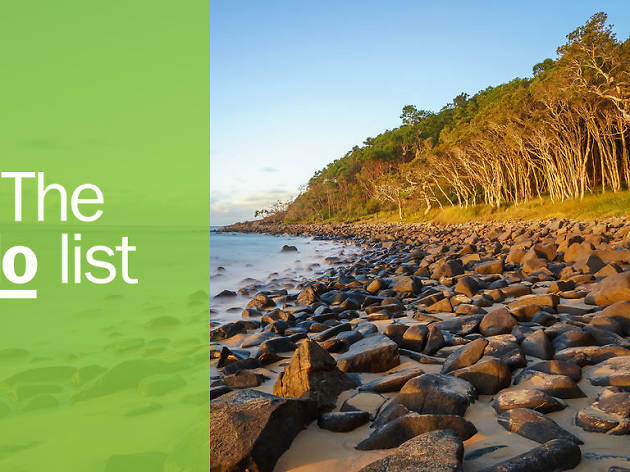 Whether you’re after a sandy-toed beach holiday, close encounters with native flora and fauna or top-notch food and shopping, our list of best things to do in Noosa has you covered. 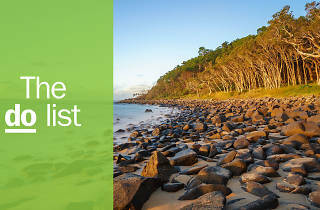 This resort town on the Sunshine Coast is famous for its beaches—which range from tranquil bay waters to world-renowned surf spots—as well as its lush hinterland and array of farmers markets and shopping. We're in Australia, after all. What is it? 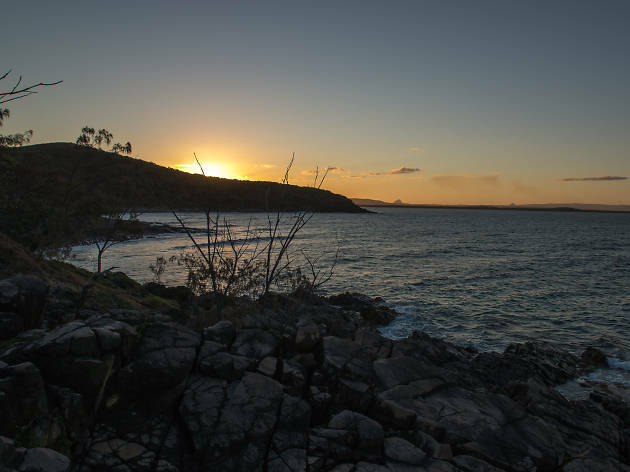 A secluded series of natural tidal pools located on the northernmost coastal headland of Noosa National Park. Why go? The magical Fairy Pools are accessed by a walking trail that hugs the coast alongside intimate beaches like Tea Tree Bay, Picnic Cove and Winch Bay. Unleash your inner mermaid in these pools filled with gin-clear seawater, as waves wash over the rocky basalt headland. Depending on the state of the tide, the pools may be tranquil enough to snorkel in, where you can see colourful coral clinging to the rocks. Walk a little further to Hells Gates – a lookout point high on the bluff – for spectacular coastline views. What is it? 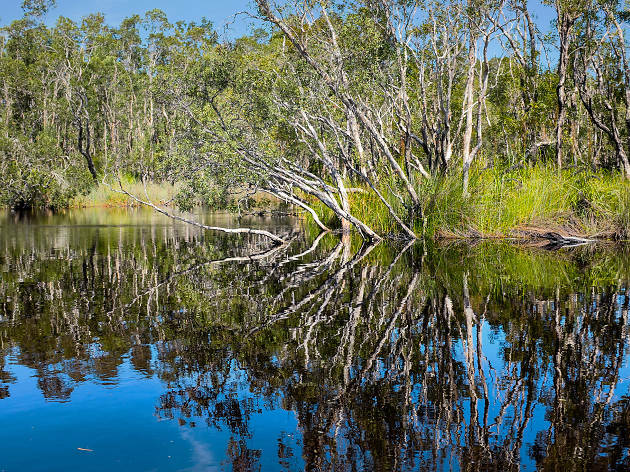 A breathtaking network of mirrored lakes and wetlands, best explored by canoe. Why go? 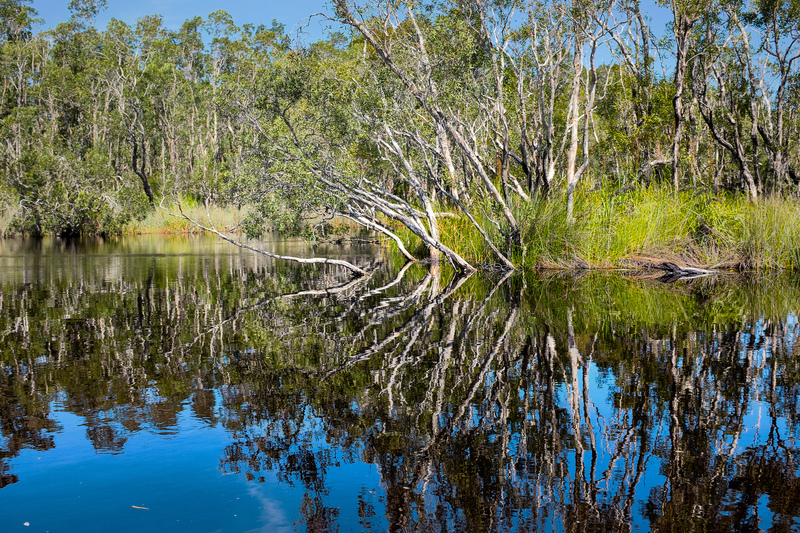 To paddle peacefully amongst water lilies, reeds and towering melaleuca paperbark trees to a birdsong soundtrack. Not up for paddling? There are small cruise boats which take eco-tours that showcase the majesty of this world-class national park. What is it? 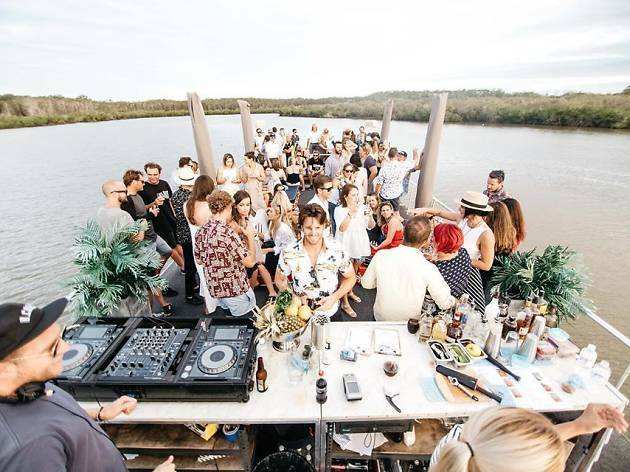 A ‘floating event space’ on the Noosa River, hosting regular cruises. Why go? Every week, this luxe vessel hosts cocktail parties, sunset cruises and Sunday sessions. Local chefs at the top of their game provide the catering so you can be sure the food and wine will be fabulous. This two-level boat features a large deck with shady umbrellas and sun lounges, which give way after dusk to party lights and an impromptu dance floor. What is it? 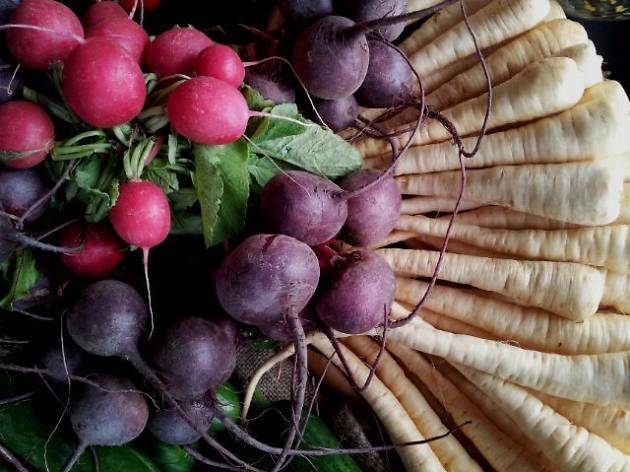 A buzzing farmers market home to multicultural food stalls and farmers selling local produce. Why go? To source all the ingredients for a perfect picnic lunch. Food stalls aplenty will have you forking out for Malaysian curries, crisp-on-the-outside-chewy-on-the-inside croissants and delicious smoothies. What is it? 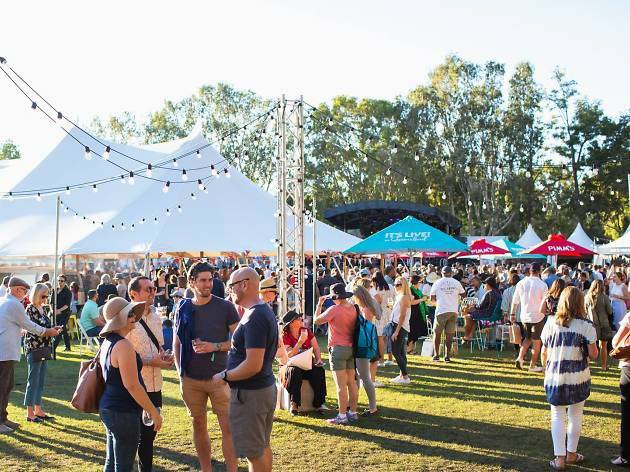 The annual eating and drinking festival that has helped to put Noosa on the map. Why go? This festival has been a firm Noosa favourite for more than 15 years – so book early if you’ll be in town in May. Showcasing the very best Australian food and wine from world-renowned chefs, there are also masterclasses and workshops for home cooks to pick up new skills. Beer and cider aficionados aren’t forgotten with plenty of brewers demonstrating their craft. The festival village buzzes day and night with live entertainment, so don’t forget your dancing shoes. What is it? 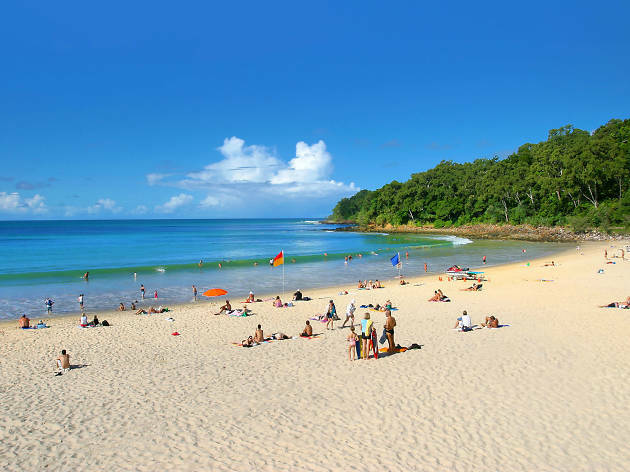 One of Noosa’s largest and most popular stretches of sand. Why go? 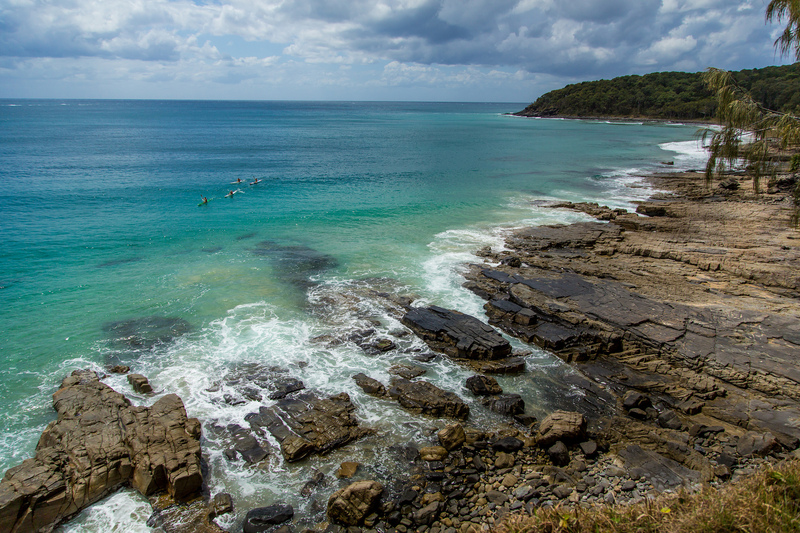 Noosa has no shortage of fabulous beaches to suit wave riders, body surfers, nervous paddlers and beachcombers. Sunshine Beach is paradise for sun-worshippers as well as surfers, and is also dotted with cafés, shops and plenty of places to buy ice-cold beer. What is it? 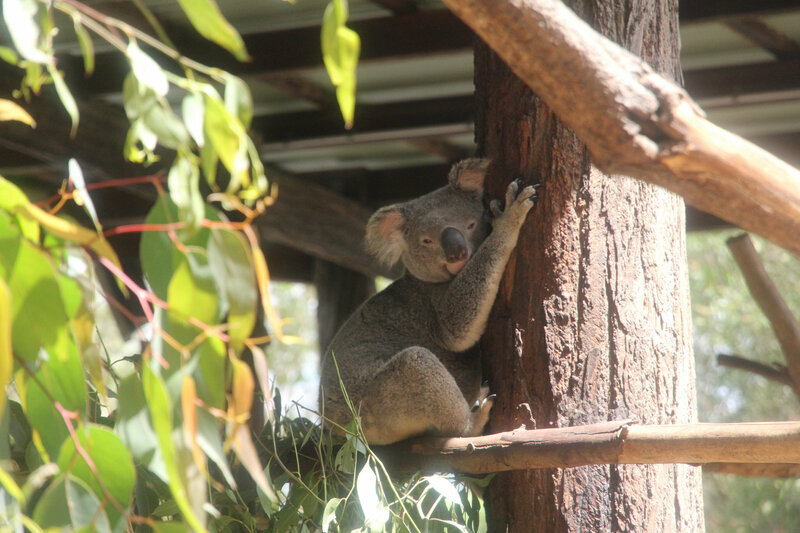 One of Australia’s best-known zoos, formerly owned and operated by Steve ‘Crocodile Hunter’ Irwin and his wife Terri. Why go? The much-loved Steve Irwin may be gone but his legacy lives on at Australia Zoo. From its humble beginnings as a two-acre wildlife conservation park, Steve and Terri Irwin built Australia Zoo into today’s world-leading zoo with a strong commitment to protecting native wildlife. 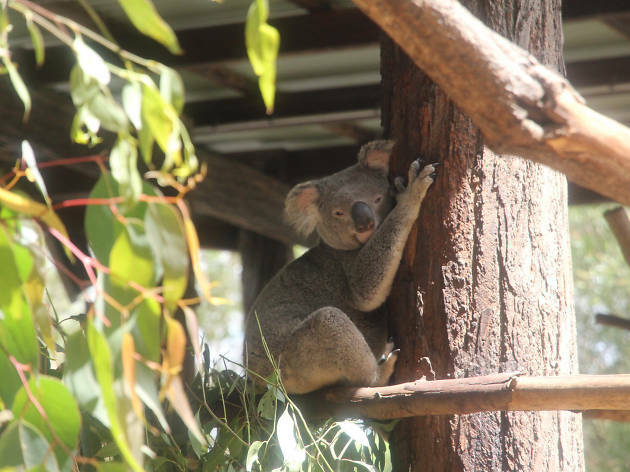 Animal-lovers can up close to wombats, wallabies, giant tortoises and big cats. What is it? The longest-running silent movie theatre in the world. Why go? To experience the world of silent films at the grand old cinema. 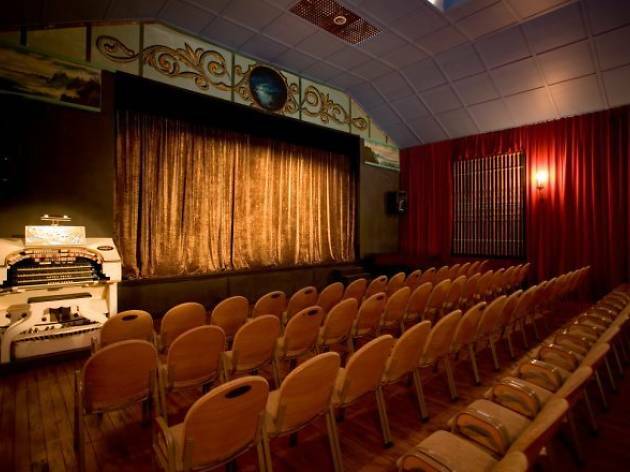 Built in the 1920s as a social hall, an old organ left of stage tinkles away to silent films – and audiences tap their toes to screenings of classic flicks like ‘Singin’ in the Rain’. There are also live acoustic music performances, sing-alongs and themed movie nights. What is it? Noosa’s north-facing beach, offering gentle waves and a safe place to swim for people of all ages and swimming abilities. Why go? 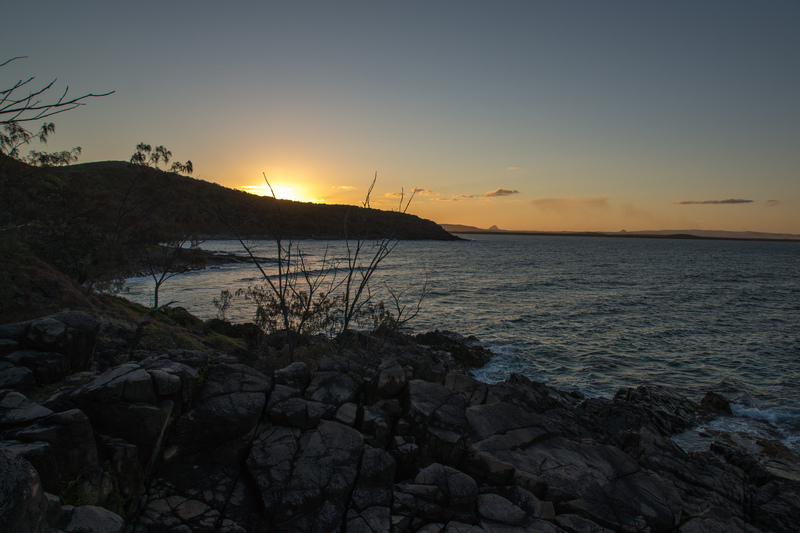 Located just a short walk from Noosa’s main drag, Main Beach is a beach beloved by locals and tourists alike. 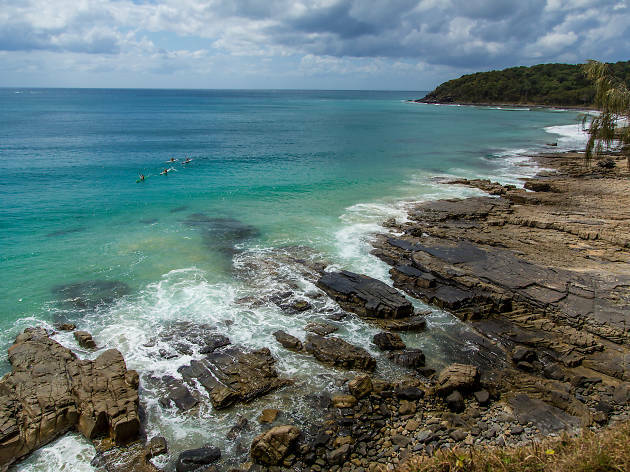 It’s also a great place to learn to surf, and you can book in advance or at one of Noosa’s numerous schools. What is it? A cute, historic pub in the leafy hinterland town of Eumundi. Why go? 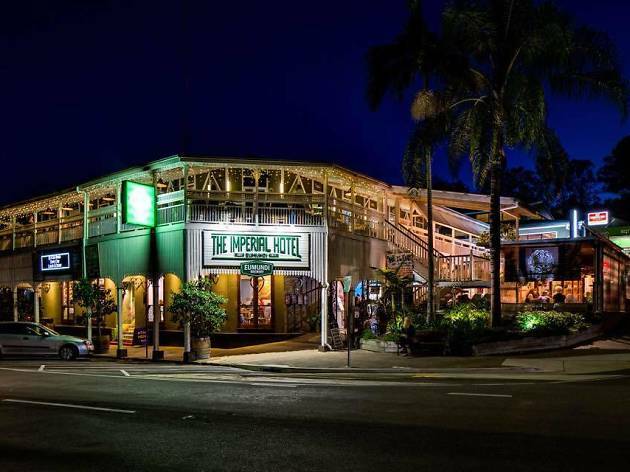 The one-hour drive west of Noosa is well worth it for the Imperial’s wide verandas, relaxed garden and country pub fare. It even has its own brewery. What is it? A famous hinterland market filled with treasures from local artists, endless food stalls, masseuses, palm readers and buskers. Why go? 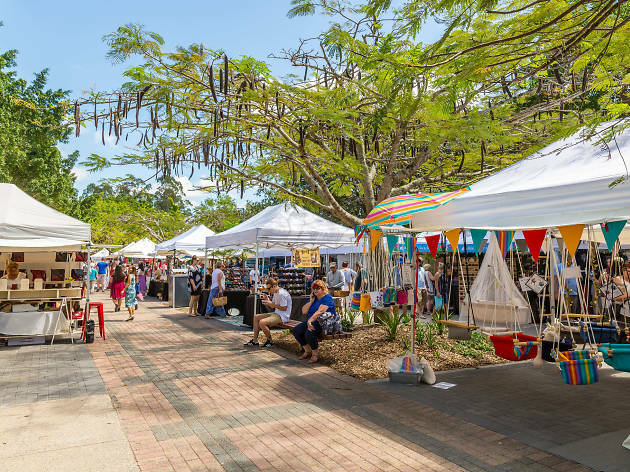 Eumundi Markets retain the holistic community spirit that inspired the original stall holders back in the 1970s. Don’t miss it.